Here she is! 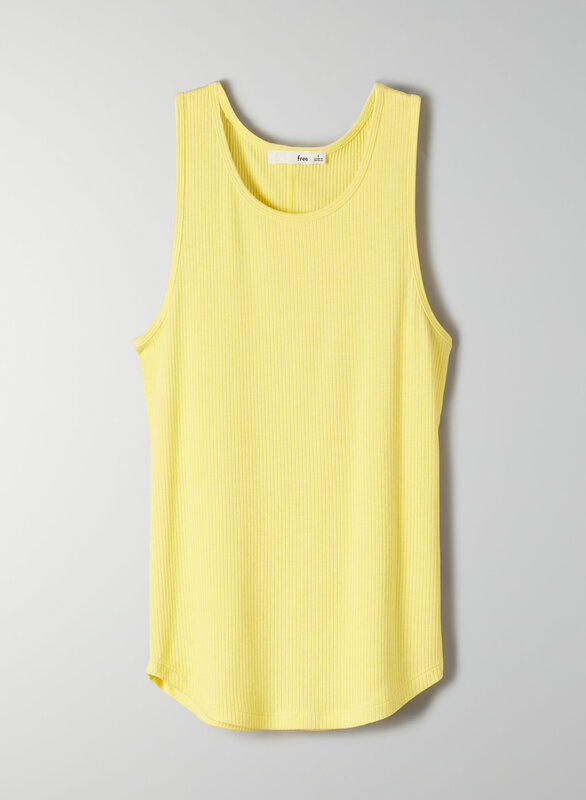 This is a bodycon tank with a scoop neckline and curved hem. It's made with a soft and stretchy ribbed fabric.